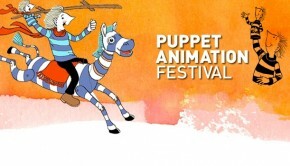 The Puppet Animation Festival (www.puppetanimationfestival.org), the UK’s oldest and largest performing arts festival for children, returns to the Drill Hall with four puppet shows and two puppet workshops! The Little Fawn adopts miniature theatre techniques, shadow cuts and original music to help re­imagine this classic of fairy tales. For this new show the interior of the caravan is transformed into a magical forest environment creating a special immersive experience for our audiences from the moment they enter the space. 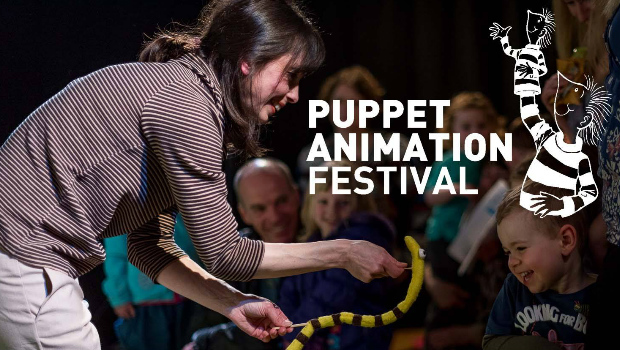 After the show, create beautiful, colourful shadow cuts under the caravan’s awning, and make a short performance with them inside the caravan’s auditorium. Workshop themes are Deep in The Forest and Under The Sea. 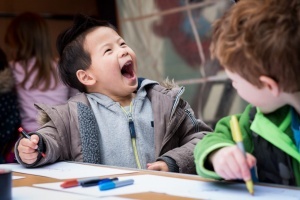 The Dinosaur Detectives weave their way through the audience looking for clues about the past, they discover a secret doorway, inside there are a number of cases, cases that contain the stories of the people who discovered dinosaur bones in Victorian times. The Dinosaur Detectives follow a fascinating journey surrounding the first fossil finds of Mary Anning, William Buckland and Gideon Mantell. Their finds changed the face of history. 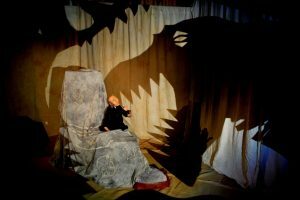 A performance with rod puppets, shadow play and large scale projections shows the fascination, fun and the conflict that surrounds the search for ‘Dinosaurs’. 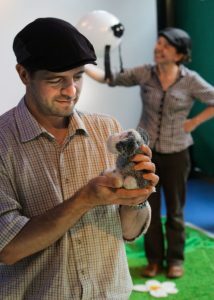 All the projections and puppetry are part of an open stage production. Clydebuilt also bring along a ‘Fossil Table’ for the end of the show where the audience can handle fossils including real bones and dinosaur Poo! Cirrus the dog has a serious job: he has to keep watch of the sheep. What to do when they lose themselves, drifting amongst the dancing clouds? 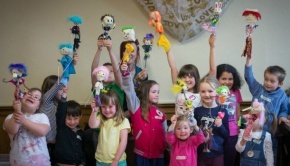 How can he help these woolly­headed dreamers get back down to earth? This is theatre that surrounds with sound, touch and visual treats. Guided by the performers, all audience members are invited to help create the atmosphere and landscape of the story. A series of boxes are opened to reveal objects that, in their sharing, become part of the action – and there’s always time to explore things at the end too. Inspired by the poetry of William Wordsworth and the landscape of Cumbria, the writing is lyrical and rhythmic; intended for those with words as well as those without. 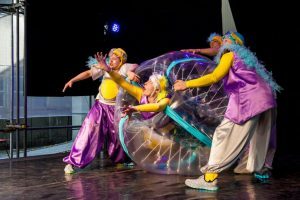 Ipdip has previously been seen delighting audiences around Scotland and Cumbria, including a sell­out runs at the Edinburgh Festival Fringe. Come and play! Imagine. You’re six years old and you are on your way to a theatre. As you get close you notice something isn’t quite right. There’s been a disaster, an alien crash landing! As you almost trip over a body. You squeal. It squeals. You jump. It jumps. And so it begins. Blending contemporary dance and hip­hop styles with live percussion, Cultured Mongrel Dance Theatre present Experts In Short Trousers – a thrilling alien adventure for all the family which celebrates the knowledge young primary school children already have.